During school, I thrived off of the unnaturally orange macaroni and cheese. 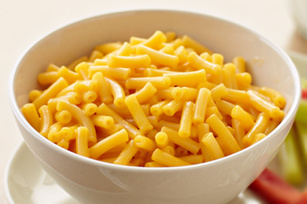 Sure, the boxed macaroni is horrible for you and it’s probably full of questionable ingredients, but it’s damn good and I miss it. Awwww yeah. Mac n’ cheese. Macaroni and cheese was the fuel for my many many Halo 3 sessions. After class, it was always boot up the Xbox, hop online and start yelling at little kids. Sorry, I can’t hear you over how badly I’m beating you. Faster, stronger, and healthier! Yes, that’s right — healthier macaroni and cheese with tofu based cheese sauce. It’s still just as cheesy, but with less fat and more nutrients. I’m sure that if you just woke up from a cryogenic freeze like Master Chief, you would be thrilled by this cheesy and filling meal. 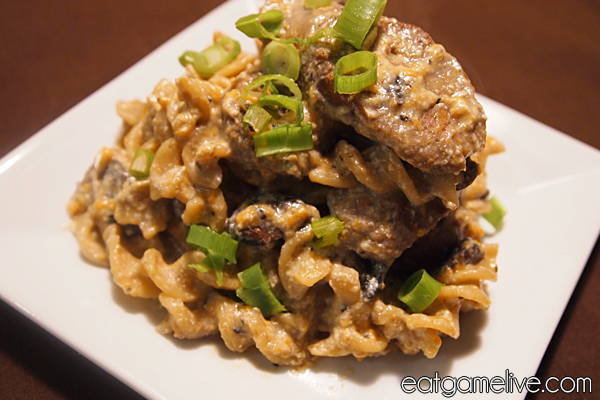 So, finish tea-bagging your enemies, put down your controller and get ready to make Master Chief Mac and Cheese. I typically use soy based products to substitute for dairy based products such as a cheese and milk. Please feel free to use the regular products if you’d like. Prep work should take about 20 minutes. Cook time should be about 35 – 40 minutes. This will make 6 servings. Set water to boil. Once water begins to boil, add your pasta and let cook for about 8 minutes. Drain pasta when done and set aside. Place silken tofu in a small bowl. Mix until smooth with a whisk. Add salt, pepper, paprika and cumin into the silken tofu mixture. Add milk to the tofu mixture and combine thoroughly. Pour tofu mixture into a pot and place on medium heat. Once the tofu mixture begins to bubble, add your cheese in small batches. Stir mixture after each round of cheese in order to thoroughly combine and melt cheese. Reduce heat to low and stir occasionally. Place a skillet on high heat. Cook sausages for about 5 – 6 minutes on each side. When sausages are fully cooked, remove from heat and let cool. Do not clean this pan — the remaining oil will be used to sautee the mushrooms. 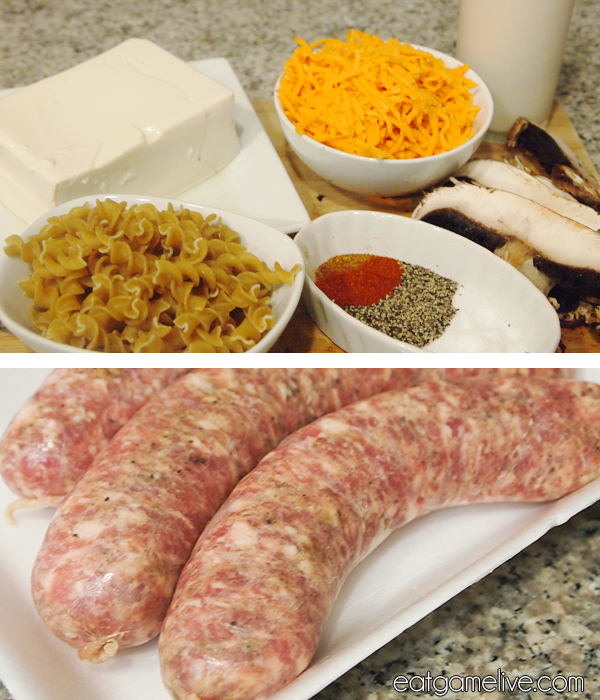 Slice sausages into 1/2 inch diagonal cuts and set aside. Chop portobello mushroom into small pieces. Set skillet on high heat. Sautee mushrooms in the sausage fat. Remove from heat once the mushrooms begin to take on a caramel color. Combine portobello mushrooms with cheese sauce. Pour cheese sauce over pasta and stir to combine. In true Xbox Live fashion, I will not consider this a “GG WP,” but rather, “oh snap n00b, you just owned this mac and cheese so hard. Go cry to your momma”. Yes. This is a mac and cheese worthy of the great Spartan himself. So, hop in your Warthog, drive to your nearest grocery store and pick up the ingredients for this “grown-up” version of macaroni and cheese: Master Chief Mac and Cheese! I will say that I am not the genius behind the name — that credit goes to Paul over at Paul is Hungry. You should probably check out his fancy cooking tumblr. Now, I’ve got to get back to the important things in life… You know, like bringing up my KDR in Halo 4. P.S. Please stop voting for Complex. I hate that map and I’m tired of playing it like 10 times in a row. 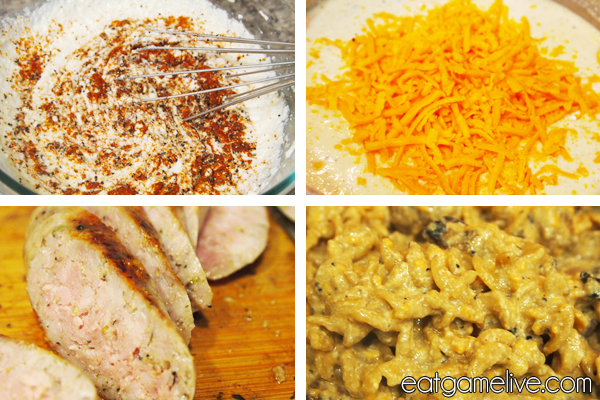 This entry was posted in halo and tagged cheese sauce, halo, mac and cheese, sausage, tofu by admin. Bookmark the permalink.